You want some pizza? Order one online and have it delivered! You want to watch that TV show you've been meaning to catch up on? Marathon that mother on your iPhone! Want a burst of glitter to explode in the face of that guy at work who keeps stealing your jokes? Go on the internet and have a glitter bomb mailed to his mom's basement! Honey, looks like you got a package from... Yoo Sahk? It's the year 2000 and just like all the great minds of yesteryear predicted, you can perform important daily tasks without having to put on pants and leave the house. I mean, you could leave the house without pants, but then it opens a legal can of worms that starts with getting thrown in jail and ends with writing blogs for a living. Hmm, what rhymes with "Plywerk"? After selecting the Instagram option, you will be prompted to log on to your Instagram account. Don't worry, we won't be able to mess with your account. Unless you're a fitness model. Then I'm logging on and deleting all those stupid pictures of you posing with whatever detox tea you're peddling. The chances of this woman actually drinking anything in this picture is equal to/greater than to the probability of her finding me atttractive. After logging into your Instagram account, you can select any image you've posted to turn into a beautiful Plywerk, and viola! It's that easy. 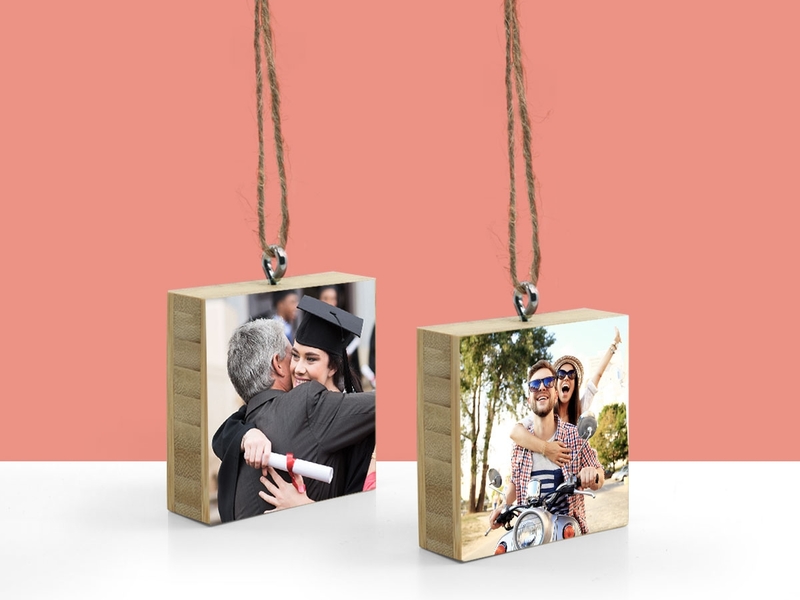 Now you can decorate your home in memories! Commemorate that amazing vacation you took, immortalize your child's formative years, print whatever you want. Just don't order any pictures of food, unless you want everyone who visits your house to think you're just as pretentious in person as you are online. This entry was posted in Custom Wood Print, Direct Printing, Instagram on January 29, 2016 by admin. Many things have changed for us here at PLYWERK in the past month. 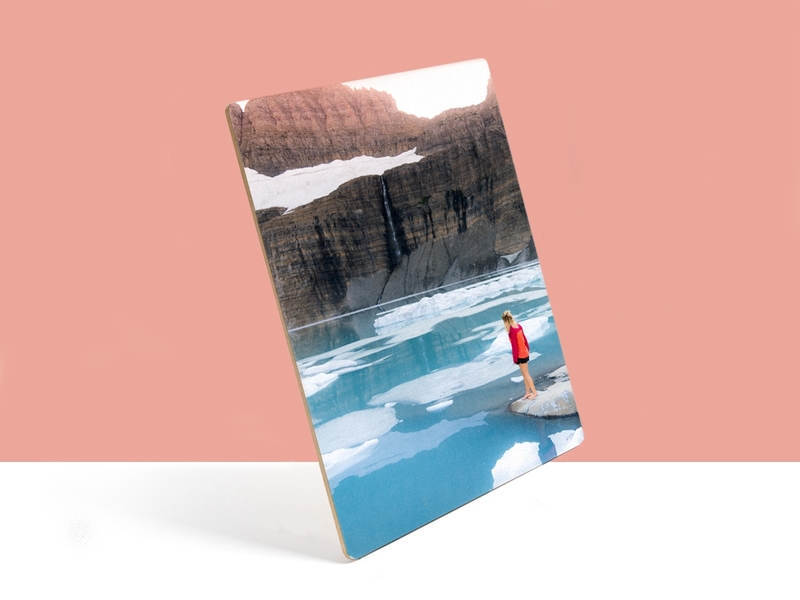 Luckily through it all, we’re still offering the highest quality photo prints on wood . We’d be crazy to screw with that. So what’s changed exactly? Most notably, our printing method is completely new. Retooling the production of an already perfected product? Weird, I know, but not all change is bad. In this case actually, it’s for the better! Above you see two Plywerk prints.The Plywerk on the left was created with our OLD photo mounting method, the Plywerk on the right was created with our NEW direct printing method. What’s the difference between the two? Photo Mounting involves a process exactly how it sounds. 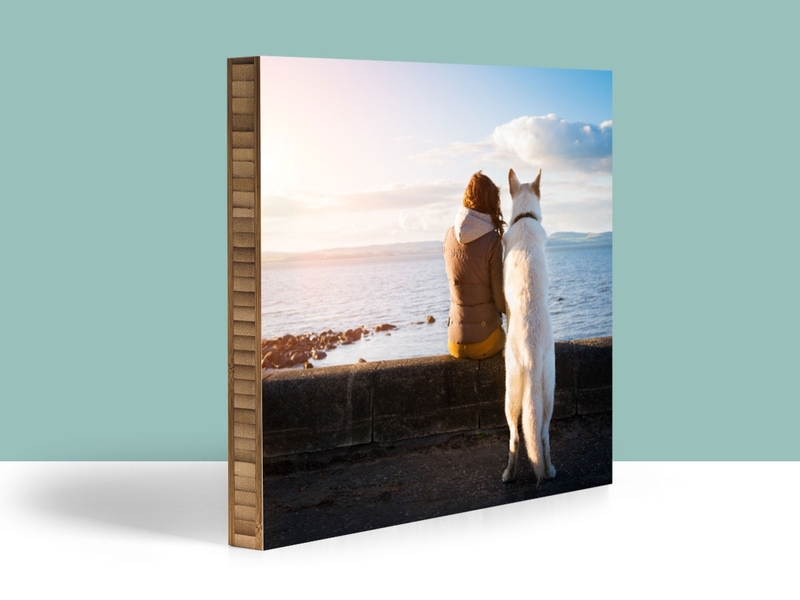 A high quality photo print is produced at a seperate location, then shipped to us to be mounted with adhesive onto a piece of plywood. We here at PLYWERK tend to be a “scattered” type of people. Both of these prints were created at the same time, and both of these prints went through the same amount of abuse passing through our building, getting stacked under other prints, getting dropped on the floor, you name it. While setting up both products for the main photo, it was noted that the Photo Mounted Plywerk began to show some wear on one of the corners. Once again, Photo Mounted on the left, Direct Printing on the right. Why did this damage occur with the Photo Mounted Plywerk but not Directly Printed one? The damage seen on the left is from tiny pieces of the photograph being scraped off of the wood. These blemishes can increase over time (especially if you’re just as “scattered” as we are). 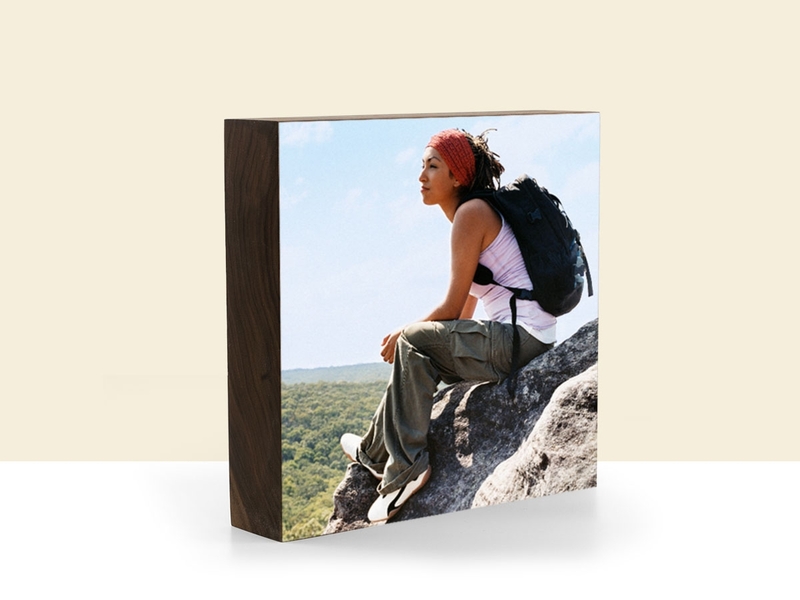 The advantage with Directly Printed Plywerks is that there’s nothing to scrape/tear on the surface as the image rests onto of the surface of wood. We limited this test to only our Directly Printed Plywerk since the Photo Mounted one is the last of it’s kind in our possession. Mainly because the powers that be here at Plywerk didn’t want me destroying it over a blog post that no one is probably going to read. (If you actually ARE reading this by the way: YOU ROCK!) for this test I grabbed the first random bottle I could find. This one contained orange chemicals that touted the ability to clean wood. When sprayed onto the surface of our Directly Printed Plywerk, would it clean off the ink? ... we sprayed this mother down until it was dripping. After which, we wiped it off several times with a white paper towel in our best attempt at smearing the ink. At the end of the test, our Directly Printed Plywerk was good as new, albeit a little bit shinier. Also, check out the paper towel, no smeared ink! 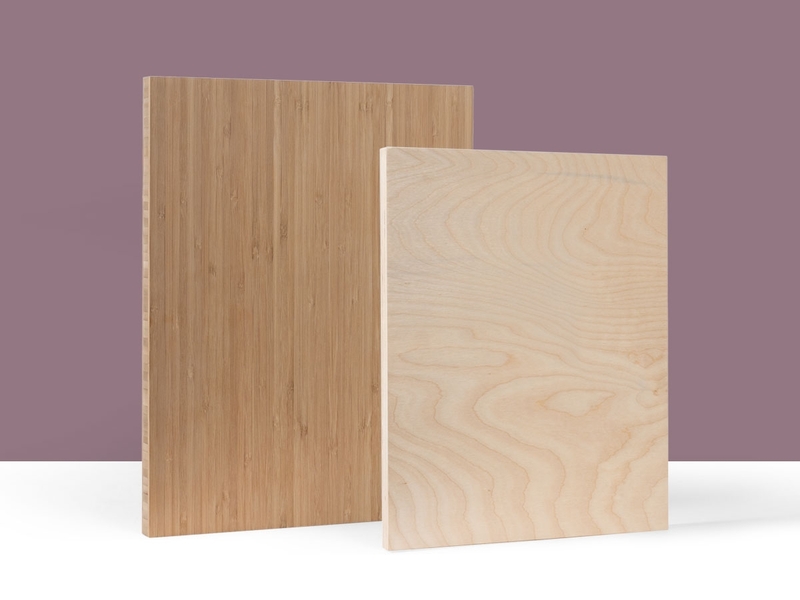 What do Increased durability and moisture resistant properties mean for Plywerk? Longer lasting products! That’s right, with our new and improved printing method, the image can’t scrape off and the ink won’t smear when wet. Although if somehow you’re lifestyle allows for a scenario where you can damage a Directly Printed Plywerk to the point where the image is scrapped off the wood and it gets so wet the ink smears, then chances are you’re a Tasmanian devil with a squirt gun, and you don’t exist. Yeah, I know that sounds cheesy, but it’s true. Better process = better product. I also didn’t really know how to end this article, but here we are. This entry was posted in Direct Printing, Photo Mounting, Photography on January 21, 2016 by admin.